Aaorn Cloke. A Real Asset! Aaron Cloke is our Jack Petchey Achievement award winner this month. 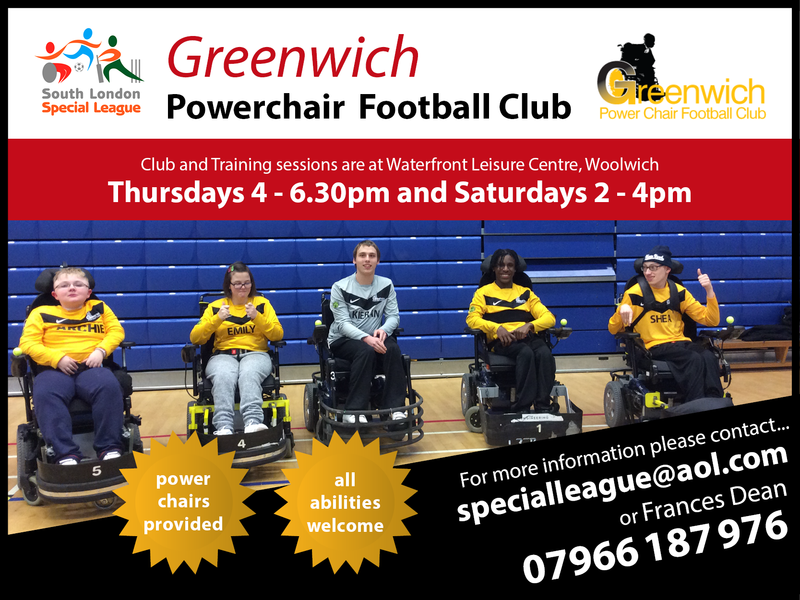 Aaron came as a volunteer to help with Greenwich Powerchair Football club. He has recently had his 25th birthday. Aaron is keen and enthusiasttic, helping to enable our players. 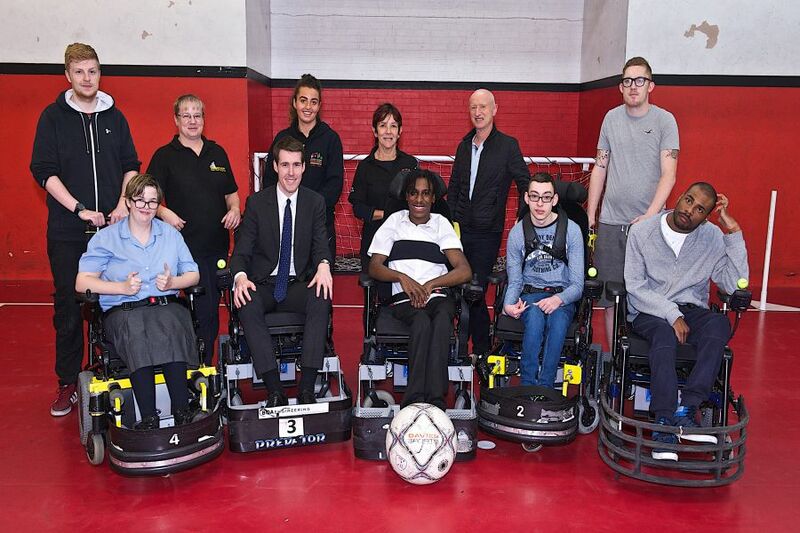 Our new MP for Greenwich and Woolwich, Matthew Pennycook visited Greenwich Powerchair Football Club at our training session on Thursday 12th November. He thoroughly enjoyed himself, joining in with the young players, swiftly aclimatising himself to how to manange these speedy and tricky to handle power chairs. Not easy! This was his first visit to an activity mamanges by South London Special League. We do hope to see him again in the not too distant future! Our first game back into a new league from being promoted last season and we played brilliantly. Greenwich took on Muscle Warriors which was going to be a hard game for the players. They played to the best of their ability and were able to take the lead by scoring the first goal past Liz the GB goal keeper. Unfortunately for Greenwich Muscle Warriors got a goal back an were back into the match minutes after a screamer from Kyle Alexander putting Greenwich ahead with two minutes to go. 50 seconds to go and Kieran misses the ball. Both teams are now level, the score ended 2-2. Well done Greenwich, an excellent start to the season! Second game we played was against Portsmouth. This was a very close game both teams had their chances of scoring. We played well as a team passing the ball around the pitch in the first half we had a great opportunity from Emily Campbell as she hit the far post with a powerful shot. This ended up in a Portsmouth goal kick. It was an exciting moment for other players and the parents as we thought the goal was going in. final score ended at 0-0. All team members from Greenwich played outstandingly. They should all be pleased with their performances in both matches on their first tournament in the premiership! Managers from other teams commented on Greenwich performance, saying that they’ve come on a lot and played well in this league which plays this high standard of football.